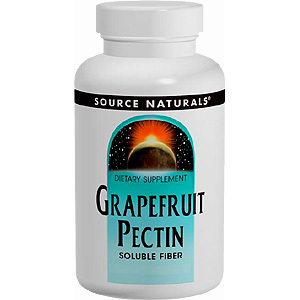 Grapefruit Pectin is a rich, natural source of soluble fiber. Pectin may help maintain cholesterol levels already in the normal range and regulate blood sugar levels. One rounded teaspoon combined in a blender with your favorite juice and fruit. If you are pregnant or breastfeeding, consult your health care professional before using this product. Suitable for vegetarians and HYPOALLERGENIC: contains no yeast, dairy, egg, gluten, corn, soy or wheat. Contains no sugar, preservatives, or artificial color, flavor or fragrance. Other Ingredients: stearic acid, acacia (vegetable gum), modified cellulose gum, colloidal silicon dioxide and magnesium stearate. 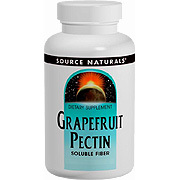 Grapefruit Pectin Powder - 8 oz is shipped in a discrete, unmarked package. Orders are processed immediately and usually take about 3 to 5 working days to be received. We do ask that you try it for 2 to 3 weeks to feel the full effects. Any information received is used only for order processing and shipping purposes. Your information, such as e-mail address, will never be disclosed to a third party.